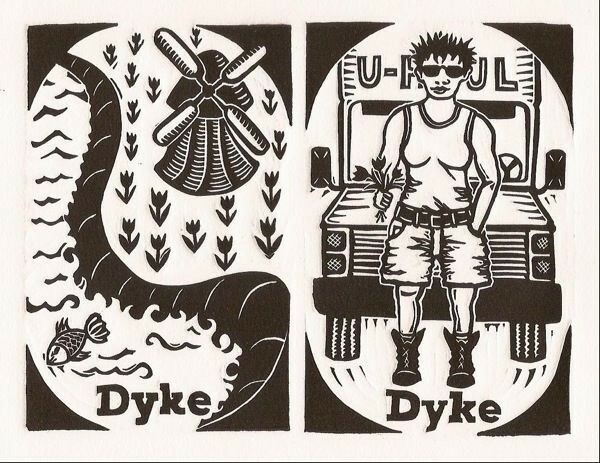 Although several words in Gilmartins ongoing Queer Words collection (dyke, fag, faerie) remain venomous epithets in some contexts, they also simultaneously function as fiercely chosen and hard-won terms of pride. To the extent that they become the latter, their power to function as slurs diminishes. Whether retooled epithets, secret codes, or witticisms, each word and phrase carries in some way the traces of the collective struggles and resistance of the queer community, referencing how language is understood according to the definition ascribed to it by the user.